Elm Creek General Construction is a locally owned and operated business. 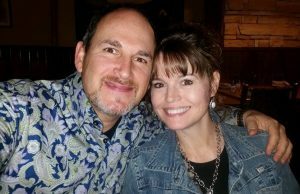 Sid Falco and his wife Tracy have a passion for treating people with honor. They believe that people – not boards, paint, and shingles – are the reason for being in business. Sid has been involved in different aspects of construction most of his adult life and has even built several custom homes. For the past several years he has focused on helping people with storm damage restoration all over the state of Texas. Why is this important? Storm damage typically isn’t limited to your roof. Often your home’s entire exterior, and sometimes the interior, receive damage. We coordinate and oversee the entire restoration process. This allows you to relax instead of taking on the role of a general contractor. Elm Creek General Construction offers quality craftsmanship starting with the simple statement, “Do it right, or don’t do it at all.” We realize the best advertisement we have is a customer admiring our work. Honor and integrity is not just our tagline, it’s something we live! Honor seems to be a lost value. Honor has to do with the way you treat people. It is not based on feelings, profit, or desire, but on the importance of each individual. Integrity is how you operate. Whether the task is seen or unseen, it is done right and ethically – period.